When power failure is not an option. Your business cannot afford to be without power, for even a second. 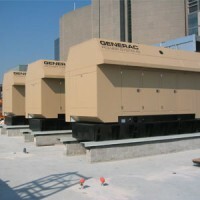 Industrial grade generators are designed to handle the most critical and heavy duty demands and are fully customizable. Total Power offers reliable, dependable, trusted components to provide you with a choice of options to meet the specific requirements of your business or application. Total Power offers a practical range of choices for industrial generators to suit your unique needs. 600kW diesel generator installed in a customized sound attenuated enclosure on raised platform supporting life safety systems. Single System (Nodes range from 10kW – 2000kW): With different engine, fuel and packaging options available at Total Power, we specialize in configuring gensets to meet various applications, codes, standards, and emissions requirements. 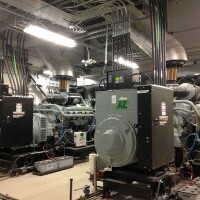 Parallel Power System (Nodes range from 100kW – 2000kW): Parallel operation of multiple generator sets offers significant advantages over single large units. Built-in redundancy, scalability, flexibility and ease of serviceability come automatically with quality performance. Total Power offers parallel power systems for multi-megawatt standby power solutions, delivering a rate of 99.9999% reliability for critical loads. Integrated paralleling switchgear systems are available, along with Modular Power Systems (MPS) that utilize innovative control systems to simplify installation and save you money. Gemini (1000kW): An ideal choice when space is at a premium and reliability and redundancy are critical. With two industrial generators paralleled within a single sound attenuated enclosure, great power is delivered in a compact footprint. Scalable through paralleling, the Gemini allows for both medium and large power needs. Diesel: Utilizing compression ignition engines from various trusted brands, Total Power delivers diesel models meeting today’s clean emissions requirements. Gaseous: Total Power has proven performance and reliability in industrial applications using spark ignited engines. Unlimited natural gas fuel source from utility or on-site liquid propane fuel source provide smoother, quieter operation, cleaner emissions and longer run-times. Bi-Fuel: Combining diesel and natural gas for the benefits of both fuels. 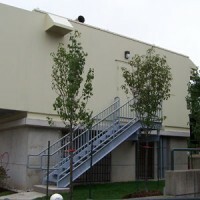 Reduced on-site fuel storage, fuel cost and emissions, all the while maintaining reliability and increasing run times.